Alfa Laval announces the enhancement of the Alfa Laval Pharma-line hygienic tubular heat exchanger range. The range is one in the company’s broad portfolio of heat exchangers designed specifically for the biotechnology and pharmaceutical industries. Performance improvements include product features that add greater installation flexibility, enhanced drainability and further reduce the risk of costly design errors as well as cross-contamination. Moreover, broad expertise in the form of support and service before, during and after installation ensure the optimal solution for your needs over the entire heat exchanger lifetime. Alfa Laval today releases the Pharma-line S. Alfa Laval Pharma-line S is complementing the existing Alfa Laval Pharma-line P providing improvements to installation flexibility, cleanability and lead times. Used in pharmaceutical water, water-for-injection, purified water and Cleaning-in-Place systems as well as heating and cooling duties, this hygienic process-industry workhorse features these enhancements: legs for flexible positioning, the possibility to vent and drain on the shell side and delivery of computer-aided-design (CAD) drawings prior to ordering. “These enhancements make the Alfa Laval Pharma-line S especially attractive to pharmaceutical process plant owners looking to further reduce costs and cut delivery times without compromising on quality,” says Michaela Hagermark, Alfa Laval’s Global Product Manager for tubular heat exchangers. 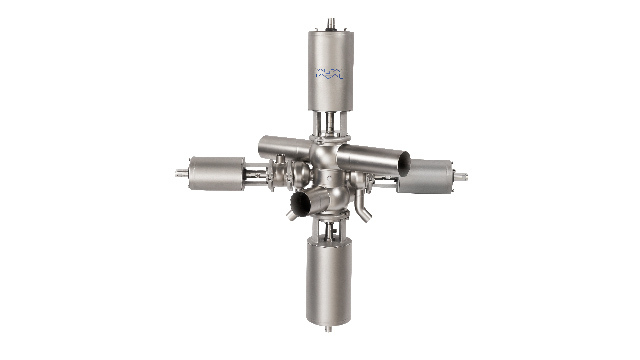 The enhanced Alfa Laval Pharma-line S comes with position-it-anywhere installation flexibility. Mount it on the floor, anchor it securely onto the wall, or hang it from the ceiling. Best of all, the decision about the exact position of the legs does not need to be made in the early stages of pharmaceutical process design. This gives plant designers more time to consider all process design requirements and greater flexibility before finalizing heat exchanger placement. Both Alfa Laval Pharma-line S and P features a crevice-free design with seamless tube, a smooth and controlled surface finish, double tube sheets to prevent leakage of service media into the product and no dead spots, all these features eliminate risks of product contamination. Alfa Laval Pharma-line S provides the possibility to vent and drain the heat exchanger on the shell side in addition to being completely drainable on product side. Another Alfa Laval Pharma-line S advantage: the ability to download custom CAD drawings for a specific installation prior to placing an order through the Alfa Laval CAD portal. By providing a digital drawing at the early stages of the design process, pharmaceutical plant designers can evaluate alternatives and make changes, if necessary. This saves time, reduces development costs and speeds time-to-market. “As the world’s leading supplier of heat exchangers, Alfa Laval is a trustworthy partner that offers unmatched support and service to secure life-time performance,” comments Hagermark. A comprehensive documentation package is available for both Alfa Laval Pharma-line and Pharma-X products. It ensures a smooth qualification and validation process, and provides long-term peace of mind. 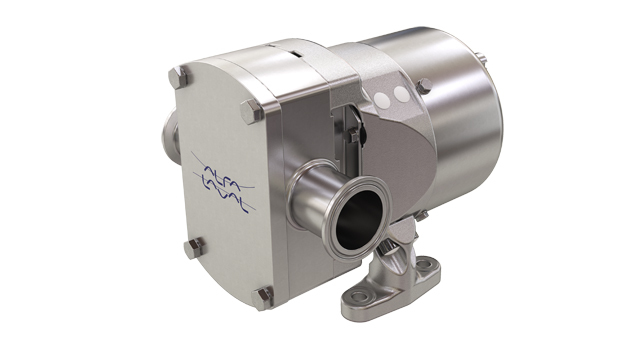 In addition to the Alfa Laval Pharma-line range, there is the Alfa Laval Pharma-X. A compact point-of-use cooler specially designed to minimize biofilm build-up in pharmaceutical water systems and provide significant water savings. Both Alfa Laval Pharm-line and Pharma-X are part of the Alfa Laval’s comprehensive biotech and pharmaceutical portfolio, which includes heat exchangers, pumps, valves, filtration and separation systems, tank and tank cleaning equipment as well as tubes and fittings. 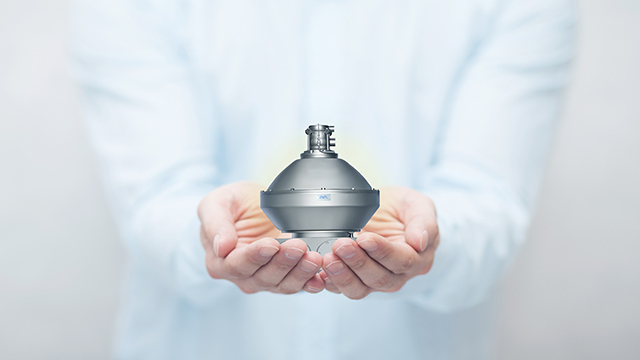 Alfa Laval biotech and pharmaceutical products and solutions meet stringent industry standards for product safety and hygiene as well as owner requirements for cost-effective, resource-efficient production. 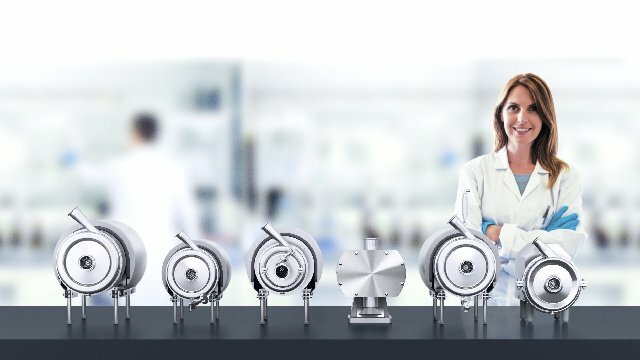 These enhancements make the Alfa Laval Pharma-line S especially attractive to pharmaceutical process plant owners looking to further reduce costs and cut delivery times without compromising on quality. As the world’s leading supplier of heat exchangers, Alfa Laval is a trustworthy partner that offers unmatched support and service to secure life-time performance. Both Alfa Laval Pharma-line S and Pharma-line P feature a crevice-free design with seamless tube, a smooth and controlled surface finish, double tube sheets to prevent leakage of service media into the product and no dead spots.